We still have room in our summer camps! Continuing camps are appropriate for students who have had 1-6 months of classes or a beginning camp. The Intermediate/Competitive camp is for fencers with a year or more of experience. Beginning camps are for kids and juniors with no previous experience – tell your friends how much fun fencing is! For Continuing level fencers who can’t come to a summer camp, we are offering sessions of our Continuing classes in the afternoon and evening. Kids meet Tuesday and Thursday at 4:30, juniors Monday and Wednesday at 5:30, adults Monday and Wednesday at 6:30. The class fee includes Tuesday/Thursday open fencing all summer. The last day of regular classes for the season will be Friday, June 22nd. We will have open fencing the last week in June, then we’re closed for a week for Summer Nationals. We will open early for open fencing and lessons Monday through Thursday the last week in June. 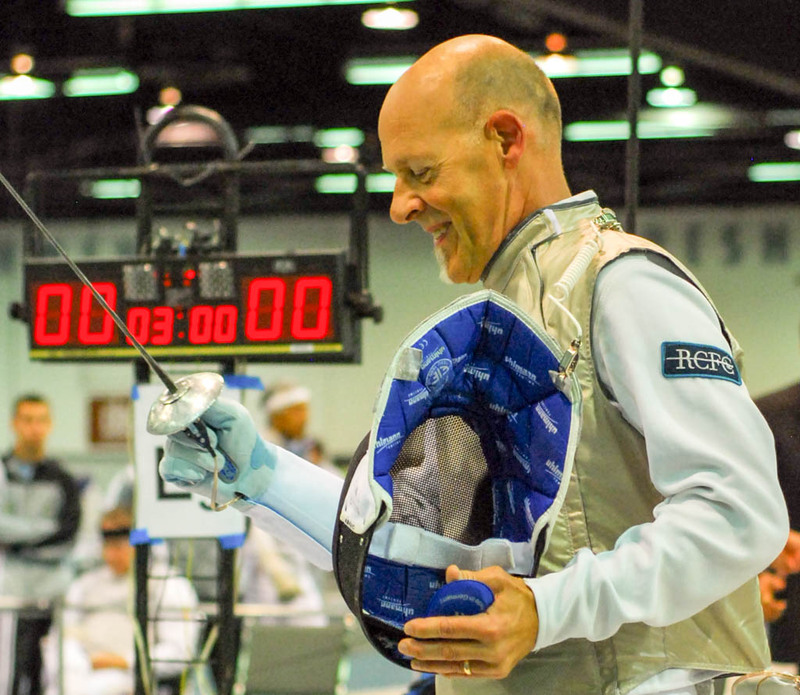 Lesson priority will be given to fencers going to Summer Nationals. Talk to your coach about lesson schedules. All of our fencers are welcome to come help our team get ready for Nationals! From July 10th through August 16th, we will have open fencing Tuesday and Thursday evenings from 6:30 to 9:00 PM. Open fencing is $80 for the whole summer, free for students enrolled in a camp. For summer private lessons, talk to your coach about schedules. Congratulations to everyone for a fantastic season, and special congrats to our two medalists! Take some time to relax and then it’s back to the salle for next season! http://www.raincityfencing.com/wp-content/uploads/combined.jpg 3808 5000 Andre Stackhouse http://www.raincityfencing.com/wp-content/uploads/2013/04/logo.gif Andre Stackhouse2017-07-13 23:57:472017-07-13 23:57:47Summer Nationals! Six medals at Richmond NAC! Welcome home to our fencers and special congratulations to our SIX medalists! http://www.raincityfencing.com/wp-content/uploads/15326472_1283264388382664_3148864178428237570_n1.jpg 960 720 Andre Stackhouse http://www.raincityfencing.com/wp-content/uploads/2013/04/logo.gif Andre Stackhouse2016-12-05 19:06:252016-12-05 19:06:25Six medals at Richmond NAC! Cadet Men’s Foil Team Wins Silver Medal at Milwaukee NAC! Our Cadet Men’s Foil team had a strong showing in the Milwaukee NAC beating Naples Fencing 45-32 and going out in the final to San Francisco Fencing Club. 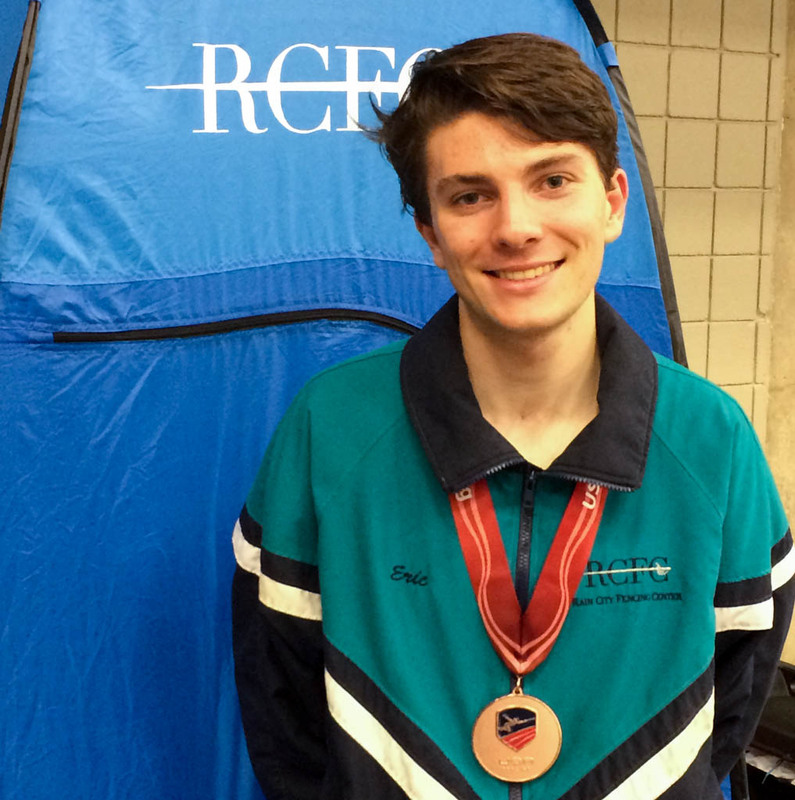 Congratulations to Ivan Ponomarev, Shaw Phillips, and Wesley Wong for taking silver representing Rain City Fencing Center! http://www.raincityfencing.com/wp-content/uploads/15078994_1256760384366398_8835127368619929817_n1.jpg 659 960 Andre Stackhouse http://www.raincityfencing.com/wp-content/uploads/2013/04/logo.gif Andre Stackhouse2016-11-15 02:19:372016-11-15 02:21:13Cadet Men's Foil Team Wins Silver Medal at Milwaukee NAC! For our second medal of the 2016 Summer Nationals, Eric Zobel switches to epee and wins a bronze medal in Division III Men’s Epee. Congratulations!